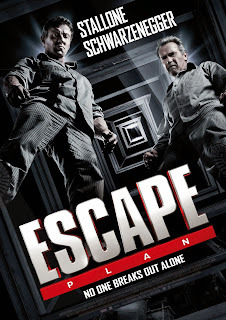 Does Escape Plan make you want to escape? Escape Plan has paired up Sylvester Stallone and Arnold Schwarzenegger. ow you maybe thinking to yourself that last year, each of these men where in their own stand alone movie. Stallone was in Bullet to the Head, which made you want to put your own bullet in your head. While Schwarzenegger had his movie The Lase Stand, which out of the two was better. However it still wasn't good. This is not the case for Escape Plan. It seems like now that these two men are older, they can not pull off a movie without the support of other actors to draw a crew. While this movie is the action movie you will want to see with these two older fighting style guys. Escape plan will bring in the older crowd who may remember Stallone and Schwarzenegger from their younger days. It will also bring in the younger crowd with its modernism and twists that you will want to have happen in a movie to keep you interested in the movie. The great thing about the movie is it takes the dinosaur man to save the day. 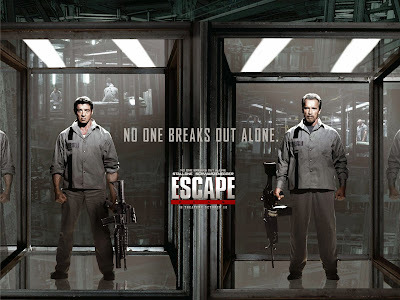 Dr. Alan Grant has to help out Stallone and Schwarzenegger in the movie, so that way they can escape. So if there is one reason to see the movie, it is so you can support the dinosaur man. They should have had used Dr. Grant more in the movie. He should have had more camera time. Because the prison is on a ship, I was waiting for the T-rex to come out and eat everyone, sadly that did not happen, maybe next time. They should have done a little more back story into Stallone character. We had to find out that his wife and daughter were killed, but if you didn't pay attention for that thirty second sentence, you would have never known that.